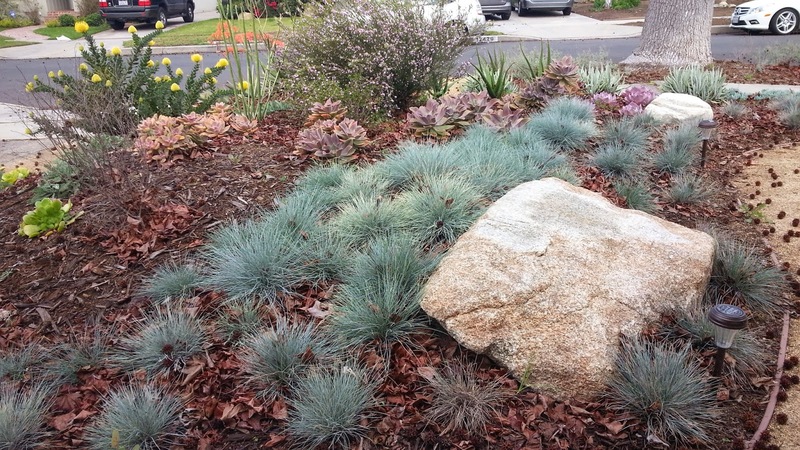 This garden was completed in April, 2014 and features dry scaping in the front. 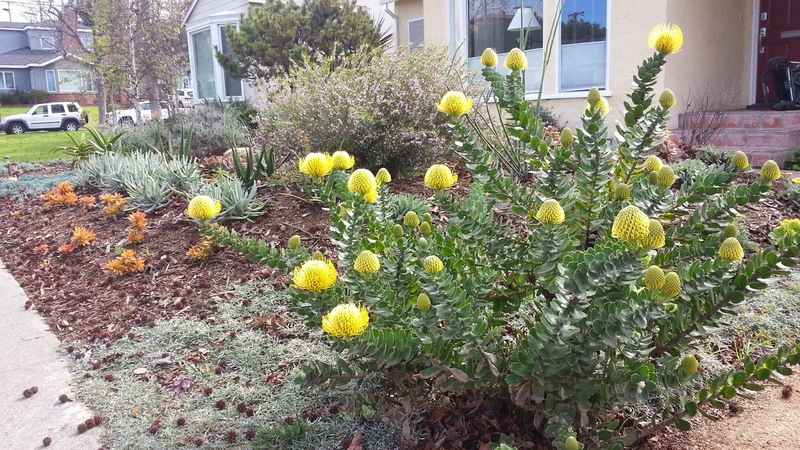 The previous owners invested in drought-tolerant and native plants to create an especially bird-friendly backyard. The current owners wanted to retain the drought-tolerant approach, but also wanted space for a play area in the backyard as well as planters for herbs and vegetables. They brought in landscaper Steve Siegrist to design the new garden. 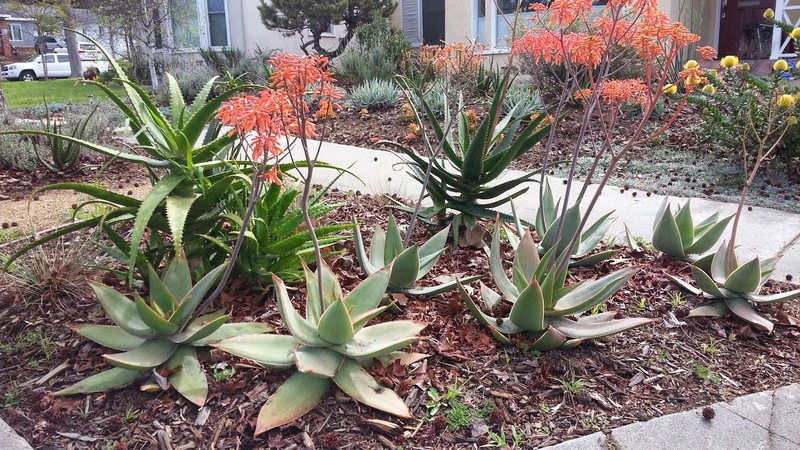 Luckily, they could relocate existing backyard plants in the new design rather than buy new ones. The owners especially appreciate the repurposing Steve did. 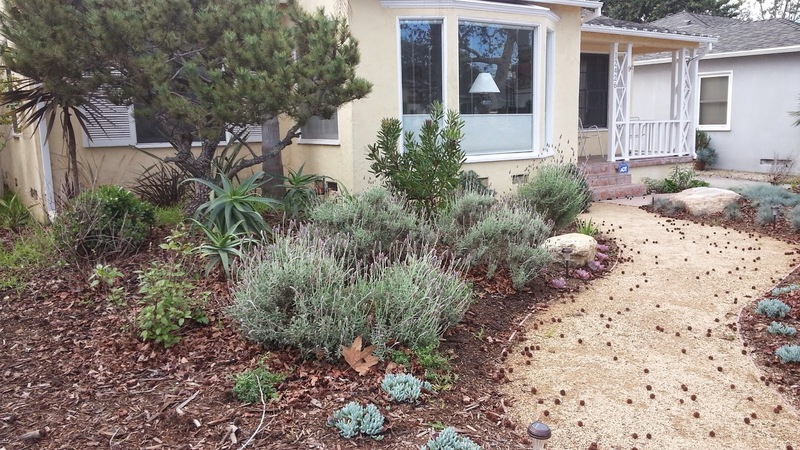 In addition to reusing plants, he used the rocks from a large backyard fountain the previous owners had installed to line the front decomposed granite path, and used extra concrete from a backyard fire pit to make three pavers alongside the herb garden.